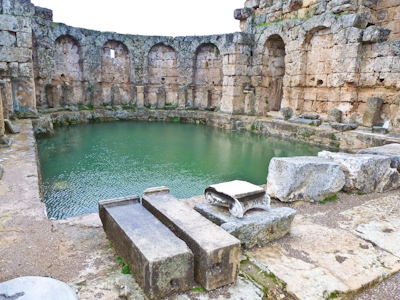 View looking southwest at the first pool that is encountered when entering the southern baths. Note all of the niches for statues. 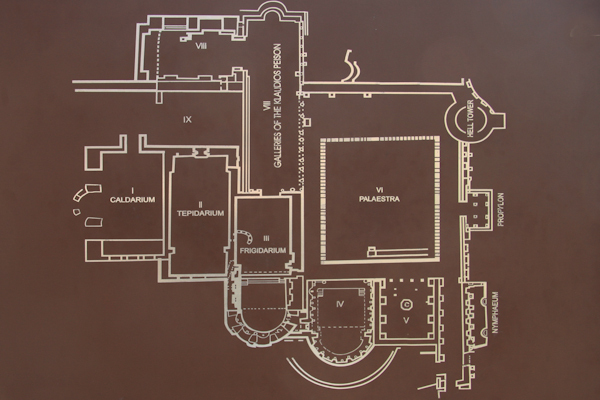 The walls of this (room IV on the diagram), and the other rooms, were covered with marble.